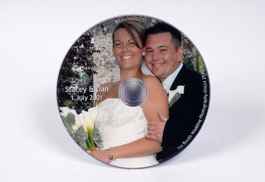 Complete coverage of the wedding at one venue with all the images supplied hi-res on a DVD. Ideal for Friday to Sunday weddings. Add up to the first dance for an extra £ 75.00. Story Book Diamond Package now £ 1,050.00! See wedding prices page for details! Ian Booth photography has over twenty years of experience, photographing weddings and civil partnerships in Maidstone, Rochester, Strood, Medway and the Kent area. I understand your wedding day is unique and special to you and I ensure it is captured in an unobtrusive manner. Having worked at many venues including Cooling Castle Barn, Little Hermitage, The Knowle Country House, Eastwell Manor and The Archbishops Palace you can rest assured I know how to capture your special day with images that will provide lasting memories. All commercial work is also undertaken and my experience in this field is wide and extensive ranging from products to commercial property, please see my commercial gallery for examples of my work. Should you require a quote please contact me. to suit every budget from a Registry Office to a Story Book package. from your images. Enlargements and canvas prints can also be supplied. in wedding and commercial photography and have many satisfied clients. and studio work. All work can be quoted with images supplied to suit your needs. I have been photographing weddings and commercial projects for many years and have vast knowledge of local venues. I can offer my very own top tips to help your day run smoothly if it is a wedding. My photography style has changed over the years and now is a mixture of traditional with reportage style mixed in. Check out my gallery for examples.